When it comes to our genes, there's very little variation from one human to the next — about 99.9% of our DNA is the same as the person sitting next to us. For example, in a recent TED talk, physicist and entrepreneur Riccardo Sabatini demonstrated that a printed version of the entire human genetic code would occupy some 262,000 pages, or 175 large books. Of those pages, just about 500 would be unique to each person. The same holds true for other living things, like chimpanzees or cats. But what about egg-laying birds, like the chicken? 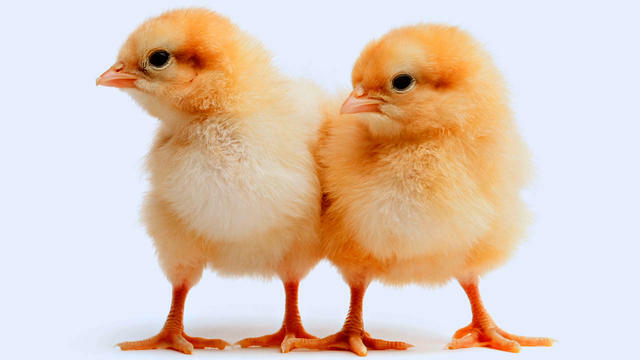 As it turns out, about 60% of chicken genes have a human gene counterpart. In a 2004 paper published in the journal Nature, the International Chicken Genome Sequencing Consortium found that although a chicken doesn't have as much DNA as a human, it has about the same amount of genes. And in those genes, there were stronger similarities to human genes when it came down to basic cell structures and how those cells work. When it came to the genes that program our reproductive and immune systems, the chicken genes were less similar. To put that 60% in perspective, chimpanzees, our closest living evolutionary relative, share 96% of the same genes with humans.